Tina Turner asked this question years ago: “What’s love got to do with it?” Because online scammers are at it again in Cebu, the Philippine Bureau of Immigration, BI, has issued a warning. This past week, the BI cautioned the public against widespread cases of online love scams. A syndicate that targets Filipinas is active again. BI Spokesperson Dana Krizia Sandoval reissued the alert. The usual scheme involves foreign nationals befriending—and often eventually courting—Filipinas they meet online. Fireworks explode overhead! Visions of one hundred dollar bills dance in the Filipina’s head. The big lottery prize is now hers! An American is coming to visit her! OK, while not all Filipinas would react this way of course, some do. Here at PhilippinesPlus, I’ve always tried to show you the good, bad and ugly side of life in the Philippines. I’m not going to sugar coat anything for you. The moron sends a few small gifts to the Filipina and her family to earn the victim’s trust. The supposed foreign national, in reality, is a part of a syndicate. “These scammers pretending to be foreign nationals would usually arrange a meet-up, and make it seem like they are flying in to the Philippines. Upon their supposed arrival, the victim will receive a call from someone pretending to be an Immigration officer, explaining that the foreign national is in trouble and demanding that money be sent right away,” said Sandoval. “After sending the amount, the victim loses contact with said foreigner,” she added. 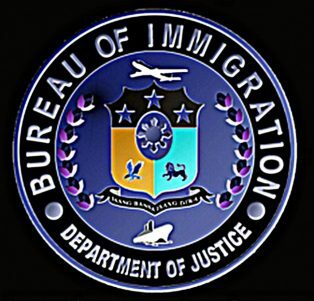 As a rule, the BI only holds custody of arriving foreign nationals in the airport when these foreign nationals are denied entry. The next available outbound flight will take the foreigner back to his port of origin. Cebu was the original target of the syndicate. The gang transferred their operations to Manila, but stopped when the scheme was broadcast in media in 2015. Recent victims came again from Cebu. “We heard of a victim paying as much as P40,000 to the scammer, and she only started doubting the story when he asked for another P60,000,” said Sandoval. “Just this Monday, we received information that another victim paid P18,000 to the syndicate for the release of a foreign national, who, upon verification, does not exist,” she shared. BI Commissioner Jaime H. Morente expressed his dismay towards the ongoing scam. Morente warns about becoming a victim. Expecting guests? Ask for the exact airport location and the flight number of the passenger in order to verify the truthfulness of the claim.